The adolescents who are in foster care, in all probability, have been in care for many years. They have experienced an array of traumatic experiences including physical and sexual abuse as well as neglect. The years of uncertainty have left them with many unanswered questions, fears about their futures, and questions about their birth fami- lies. Who are they? Who will they become? How will their lives unfold? What will happen to them when they turn that magic age — 18, that is talked about too much for kids in the system? In an attempt to answer these questions, they may take many detours on their journeys — leaving their foster families in a quandary as to what they can do to help the floundering person in their care. 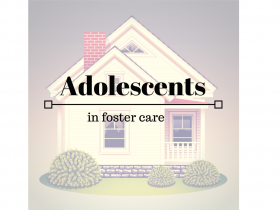 I have made a list of assumptions that may be helpful when we are attempting to understand what is going on with adolescents who are in foster care. Impermanence interferes with typical development. Uncertainty leads to insecurity and hyper-vigilance which leads to heightened focus on control issues. Unresolved trauma will surface in some way — it may even morph into seemingly unrelated areas. The foster family can provide security for the adolescent. This heading may be a bit misleading as I am not certain that there is a specific list of “to dos” that is guaranteed to be corrective. In fact, in “Parenting Adopted Adolescents,” NavPress, 2009, I suggest that WHAT we do is less important than HOW we do whatever it is we do or attempt to do. One frustrating aspect of looking for a concrete answer to whatever problem we face, is that when A, B or C don’t work, the parent feels, and often says, “Nothing works, I’ve tried everything.” Once this proclamation is made, either aloud or even just internally, the adult has been put or has put him or herself into a powerless state of mind which often leads to more ineffective interactions with the adolescent. Typically, when people feel powerless, adults and adolescents alike, they attempt to take control or pseudo-control of situations, and if this involves a parent-child relationship, conflict is almost guaranteed to develop. What can I do to maintain the relationship we have? How can I mitigate the fears that might be related to leaving home? What past hurts have been resurrected by (whatever you think it could be)? What will diminish the possibility of a control battle developing? Is this something I should TRY to control? Is this something that I NEED to control? Is this something that I CAN control? What can I do that will enhance our connection/relationship? How can I avoid doing something that will be a disconnection between us? Now, while these questions may have some concrete answers, they also are likely to produce the kind of thinking that will facilitate relationship building. With a good relationship, many positive things can and will happen. Sometimes parental frustration leads to coming up with consequences that miss the primary point of what conse- quences are for, for example, creating a learning experience. When consequences don’t relate concretely to the behavior being consequences — there is no learning experience — no corrective process. That is why so many adolescents continue to do the same maladaptive behaviors over and over. Many times people feel that they must do something in response to what the adolescent does. Sometimes, no response is a powerful response which leads the child to think about what he or she did. Oftentimes, the conse- quence creates so much anger that there is no learning opportunity — the adolescent is focused on what the adult did to him or her and not on what he or she did. I am aware that there is some skepticism about this kind of discussion, but I would just suggest that if what you have been doing has not been corrective, then try some- thing else. You may be surprised. Adults are sometimes so predictable, that the child does not even think about how the parent responds — they just wait them out. Every day I hear stories about what all the parent has taken away from the child, what they have removed from the adolescent’s room. What then follows goes something like this, “Now that I have taken his cell phone, computer and game system, he is so mad.” I always find myself thinking, “Really?” Aren’t we all mad when someone takes our things? When we’re mad, are we receptive to learning? Probably not. I am not suggesting that the adolescent should not be held accountable, but I would like the reader to begin to think of new ways to interact with your foster kids, especially if what you have been doing has not been helpful. I do think that it is more productive to do nothing than to do the same old things that are not productive. Think about the assumptions above and what I described early in the article about who they are. Imagine that you will leave the home you live in for, at this point, an undisclosed location. You don’t know much about the world you are about to enter, you don’t have any long-term connections with other people, your birth family is still in disarray, your emotional baggage is still impacting your life, uncertainty looms about, and the list goes on. You, foster parents and professionals, are critical connections — the links between the adolescent and the com- plex world they are about to inhabit — often alone. Build and maintain relationships that will serve them well, comfort them, protect them from further injury and enhance the quality of their lives. Gregory C. Keck, Ph.D., is the founder and director of the Attachment and Bonding Center of Ohio. 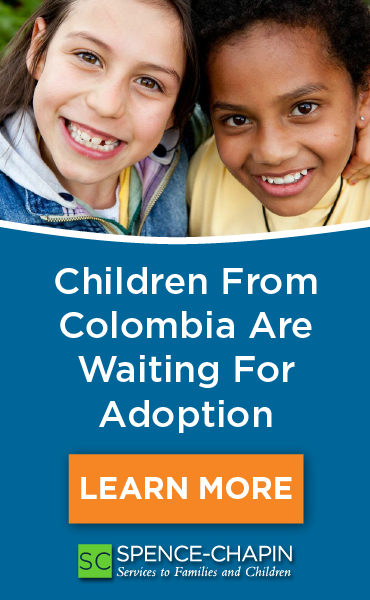 Keck specializes in working with adoptive families whose children expe- rienced early trauma. He is also the co-author with Regina Kupecky, MAT, LSW of “Parenting the Hurt Child: Helping Adoptive Families Heal and Grow,” and “Adopting the Hurt Child: Hope for Families with Special Needs Kids.” He also authored “Parenting Adopted Adolescents: Understanding and Appreciating Their Journeys.” He is involved in training regarding attachment disorders. Reprinted with permission from Fostering Families Today Magazine.